The P1 preform inspection system is an easy to use, accurate and stable industrial instrument that has been designed exclusively for measuring preform transmission values. 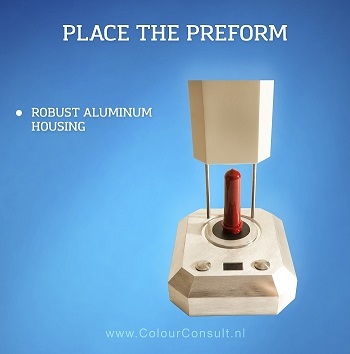 Due to its robust housing it can be placed directly next to the Injection Molding System to measure preforms periodically to detect changes quickly. It has been designed to keep operating errors to a minimum. It has only 2 buttons and the reflection chamber has guides so it will be positioned the same way every time. The P3 is designed for the plastic preform industry. Small changes in transmission values are detected in an early stage minimizing waste and valuable production time. 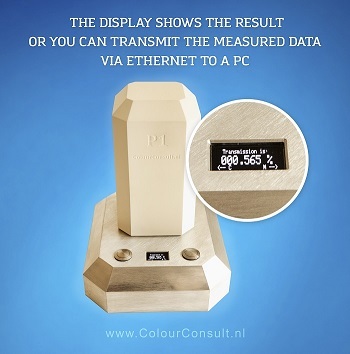 The instrument has an ethernet port which can be used to connect the instrument to a network or PC to transmit measured data for logging. That way, PET Preform Quality data can be logged to a company database to make customer reports or lookup problems later. There is an optional SDK (software development kit) available with a technical description of the protocol used and example source code of a simple c# windows software. This gives your engineers a fast start to add the data to your database or you can make your own software. Click the link at the top right to download the full specifications of the P1 preform transmission instrument. We like to help you get the quality tools you need. We make custom instruments for our customers if needed. 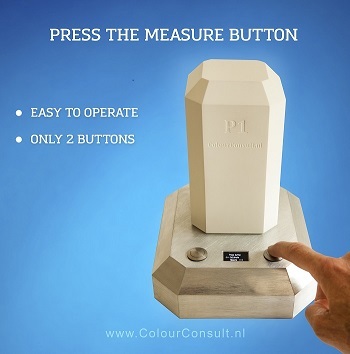 The P1 gives a percentage of light of the full (visual) spectrum, if you need full color measurement or even full spectral data of your performs let us know. Or perhaps you are interested in the UV blocking of your preforms. If you have specific wishes, please contact us. Please contact us for more information or ask us for more a quote. 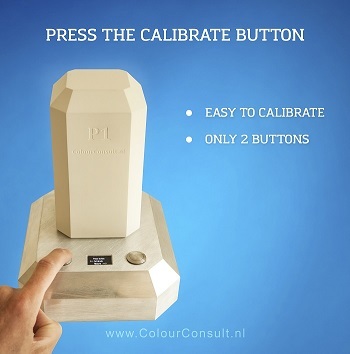 Colour Consult developed the P1 and is looking for agents worldwide, please contact us if you are interested.